Boca Raton FC will face off with Red Force at Tropical Park on Sunday at 4pm ET. 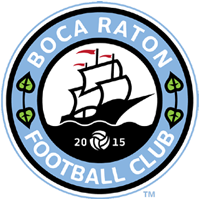 Boca Raton FC which began play in 2015 will compete in NPSL, APSL and the Lamar Hunt US Open Cup during 2017. The squad is now engaged in preseason training as well as competitive scrimmages every week to prepare for the upcoming campaign. Fans are invited to come to Coral Springs’ Mullins Park every Sunday evening between now and the start of the APSL season to watch Boca Raton FC’s preseason preparations. ◂ Open tryouts set for March 18 – join us now!